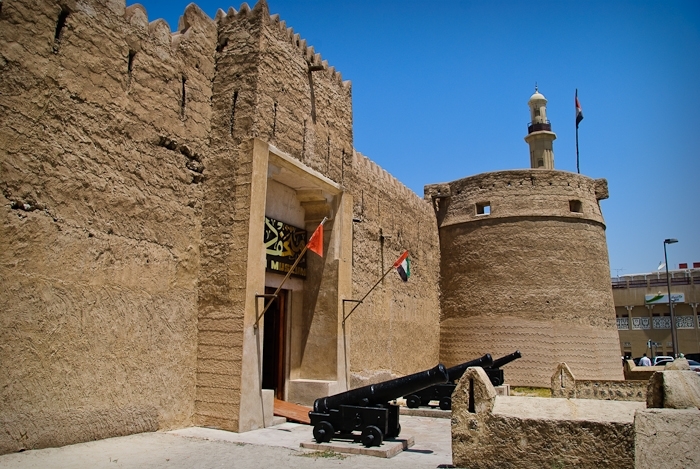 Dubai Museum It is located in the Al Fahidi Fort, built in 1787 and is the oldest existing building in Dubai. 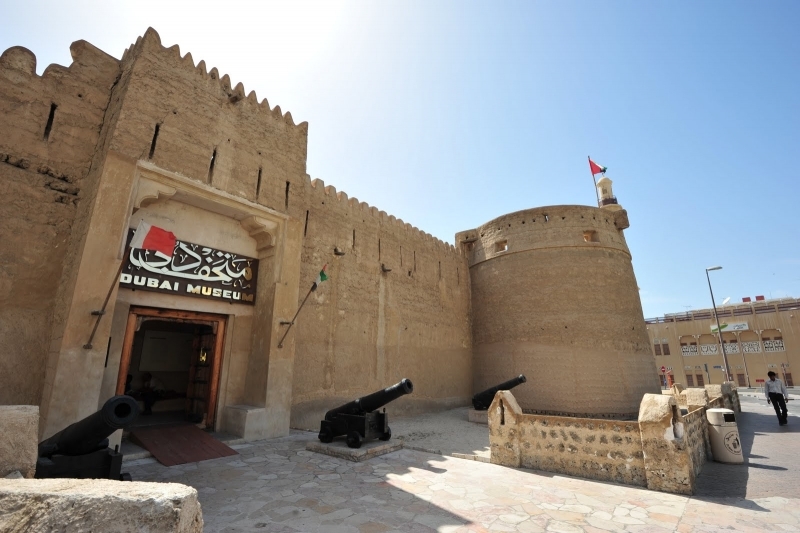 It is the oldest existing building in Dubai and its the main museum in Dubai, United Arab Emirates. The ruler of Dubai opened The museum in 1971, with the aim of presenting the traditional and original way of life in the UAE. It includes local antiquities as well as artifacts from African and Asian countries that traded with Dubai. It also includes several dioramas showing life in the emirate before the advent of oil, in addition to artifacts from recent discoveries as old as 3000 B.C.